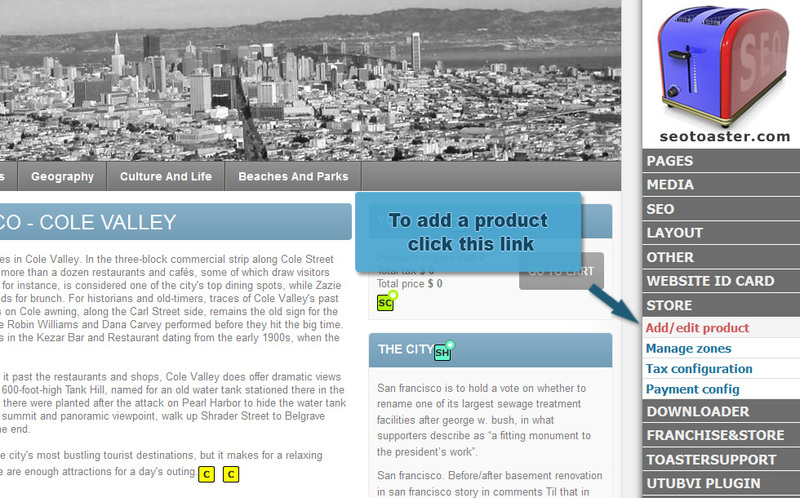 Editing content and information for products is easy and fast with SeoToaster Ecommerce CMS. 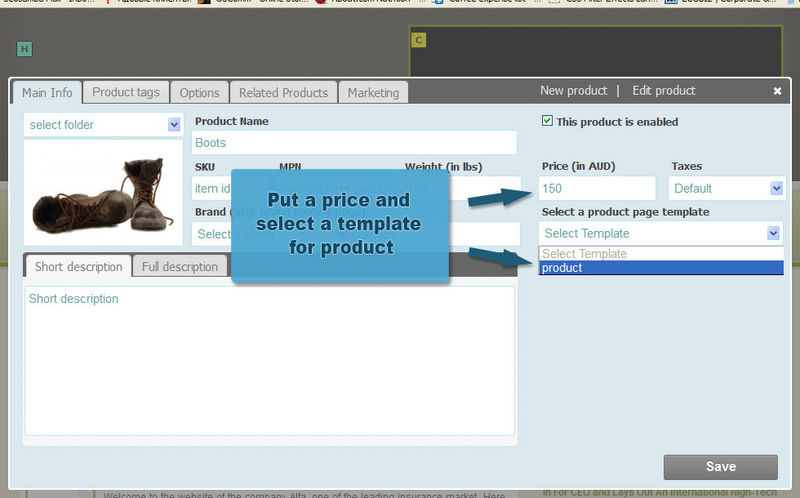 SeoToaster Ecommerce has been built so anyone - not just seasoned developers - can create and manage an online store. That why every time you create a new product, a search engine optimized product landing page is created for you automatically. To start creating new products or editing existing ones, first log into your system by going to http://www.yourwebsite.com/go. 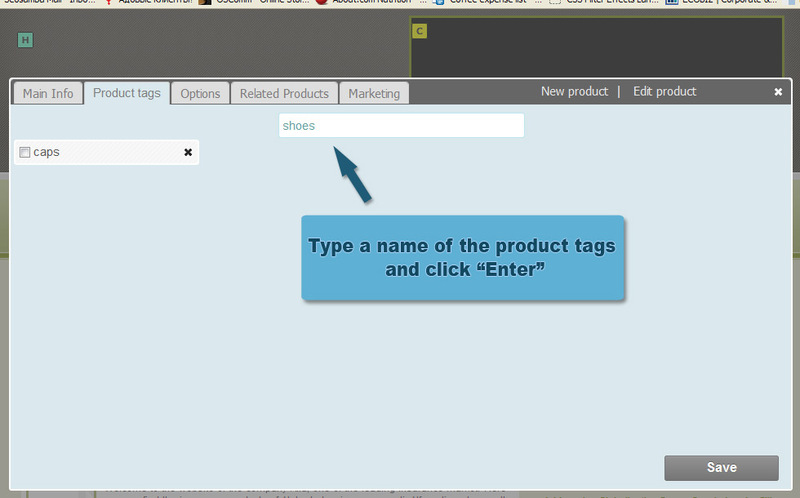 Once you're logged in, you can either browse directly to the product landing page, and click [Edit this product], or simply go to the SeoToaster Control Panel, then click on STORE > Add/edit product. 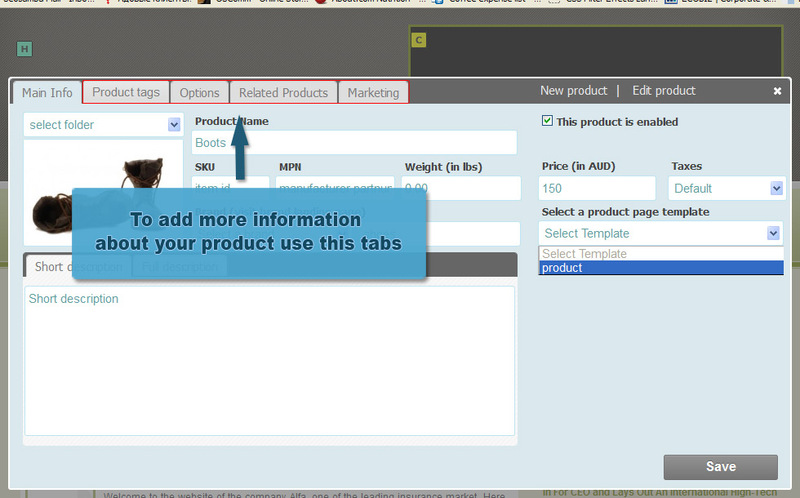 To keep things easy, SeoToaster Ecommerce uses a tab-based system to help you manage your online store. 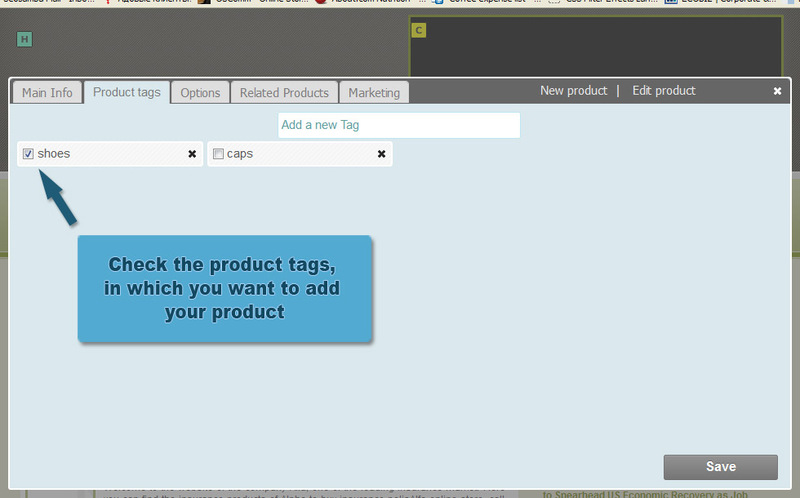 Used to categorize products, these tags let you create product lists based on tags combination very easily with SeoToaster Ecommerce's in-line content editor. This way you can boost your sales with lists of related products suggestions, run promotions with a powerful coupons system, offer free shipping, or all of those combined. Products options such as weight, price, tax class, and shipping, are natively integrated in SeoToaster Ecommerce for all product descriptions. 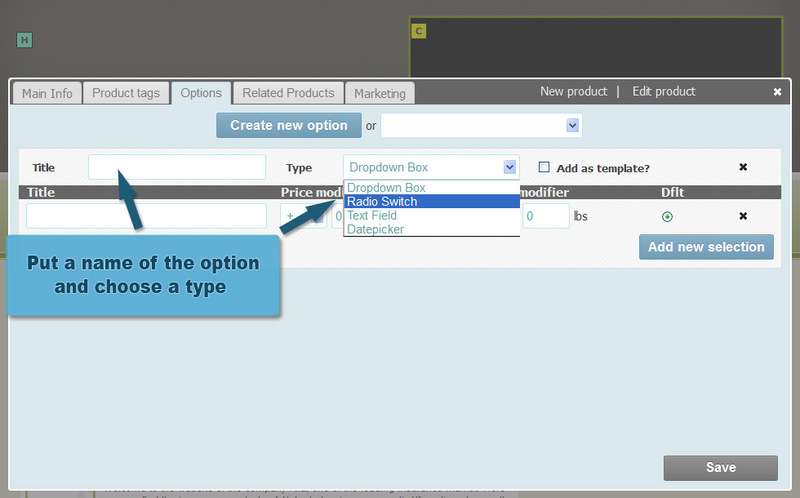 What's even better is that you can easily create as many custom options as you want. 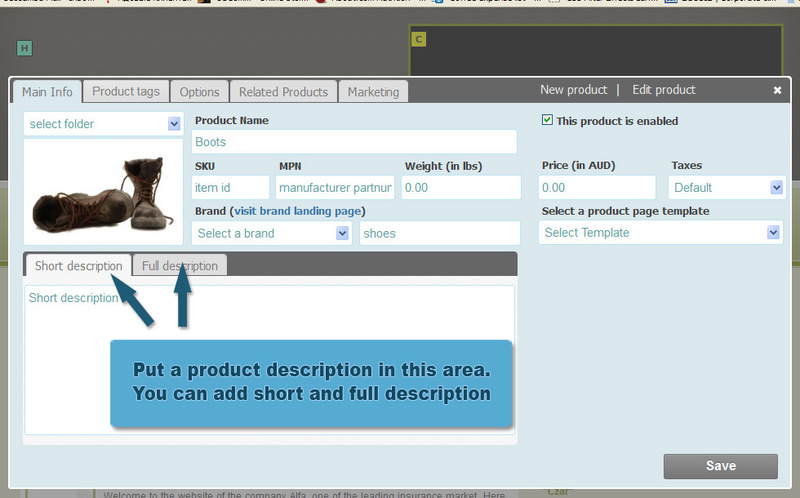 For instance, you can offer any number of additional options such as colors, sizes, etc. with all your products. Once created, these options appear automatically on your product landing page, and can easily be set to modify standard product weight and final product price. 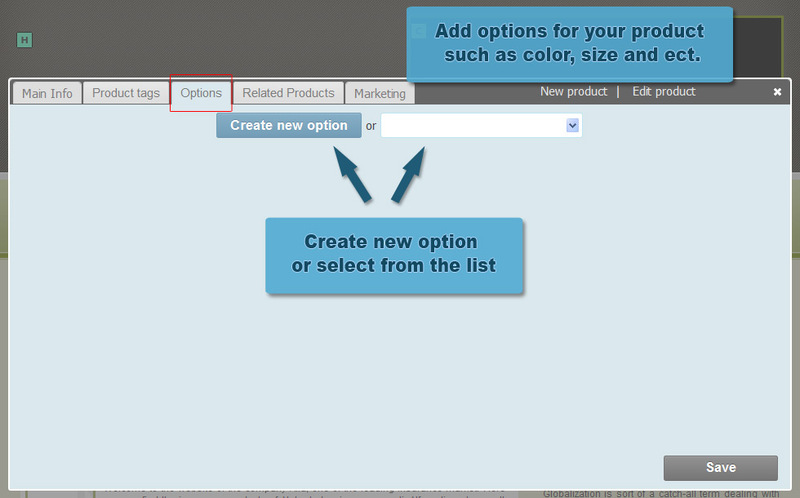 Another great feature of SeoToaster Ecommerce is the ability to create dynamic product lists, meaning that you can customize specific lists and products, and then add them on the fly to any page on your online store. 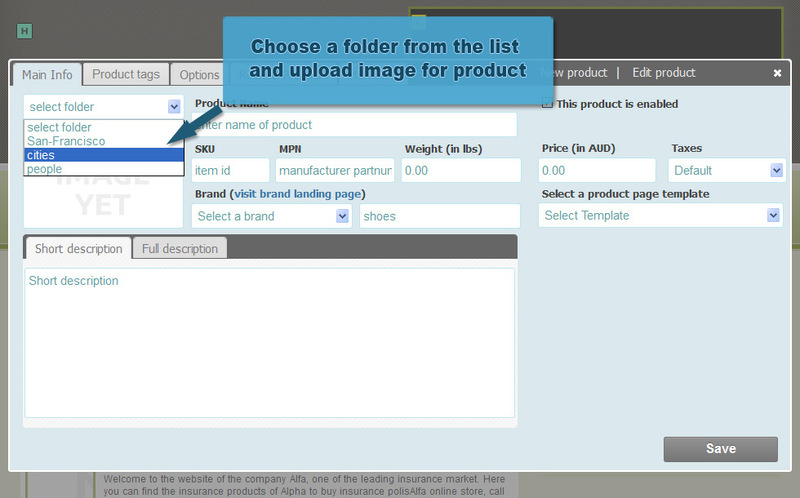 To do this, select a page then either click on the specialized "product only" jigsaw icon, or open a content container by clicking on the yellow [c] icon to open the "full fledge content editor". 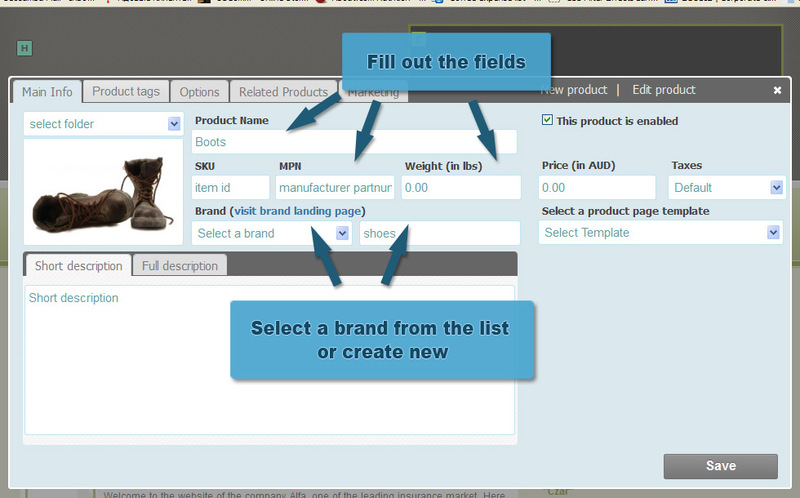 From there you can create dynamic product lists in just a few clicks. It really doesn't get easier than this!